WHY ARE ANTS NOT TAKING THE BAIT? I HAVE ACROBAT ANTS AND CARPENTER ANTS. I PLACED KM ANT PRO STATIONS A WEEK AGO WHICH THEY READILY WERE ATTRACTED TO FOR A FEW DAYS. NOW IT APPEARS THEY HAVE STOPPED GOING TO THEM AND ARE STILL ENTERING THE BUILDING . WHAT HAS HAPPENED AND WHAT SHOULD I DO ? ARE THEY EATING SOMETHING ELSE? ARE THERE TIMES OF YEAR THEY ARE NOT ATTRACTED TO THE SWEET BAIT, IF SO IS THERE A CERTAIN SEASON? HELP! The worker ants are instructed to feed by the scout ants. Generally when the worker ants feed at the dispensers and then quit, it is because they have found a more suitable food source. That's it. If the KM Ant Pro dispensers are in direct sunlight and not in shade, that is a problem. They bait is too hot. If they are not sitting in an area where the ants would normally feed, that is a problem. 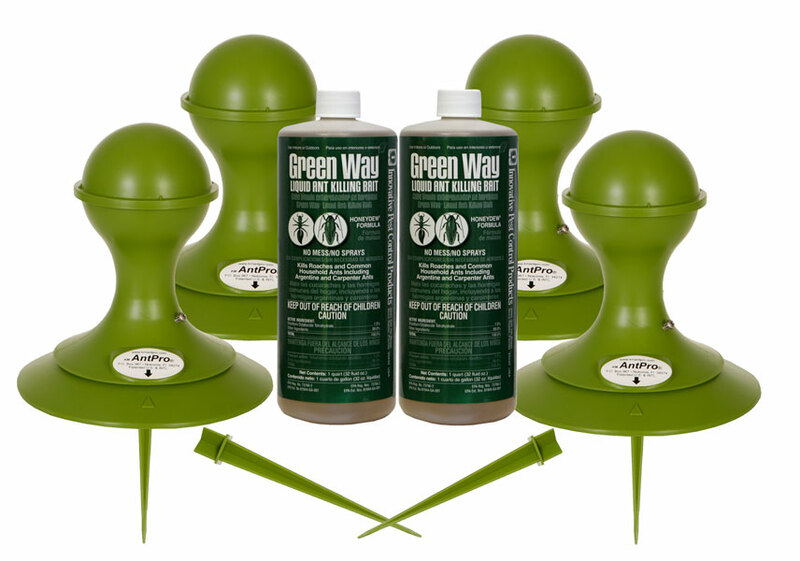 What these dispensers do is to provide a food source for the ants that is preferable to existing food sources. If the existing food sources are very abundant, then it may take some time before the ants deplete that food source and start looking for new food sources such as the KM Ant Pros. Sometimes this takes a change of season. You can't fool mother nature with a factory made bait. The other possible issue is that the ants are preferring to feed on a protein source. The Gourmet Liquid Bait is a carbohydrate based bait. This is something that can only be dealt with over time. The ants diet changes depending on their breeding and propogation patterns. Generally, if they don't feed on carbohydrates now, just give them time, they will at some point. Other possible issues include the KM Ant Pro dispensers are not wicking out the bait properly, the bulb could be too tight, or you simply haven't given this enough time to work. It normally takes 60-90 days before you can make a determination if this is going to work. Once the ants consume the bait, it takes up to 30 days for them to die. So even if they eat they today, they won't die until a month from now. This is a long term solution and provides the ants a 24/7 food source. Watching them and expecting to see them consume the bait and then expecting to see lots of dead ants is futile. It's like watching grass or plants grow. Give it some time and make sure that they stations are dispensing the bait properly and that they are in shade. Let me know if you need any more help.